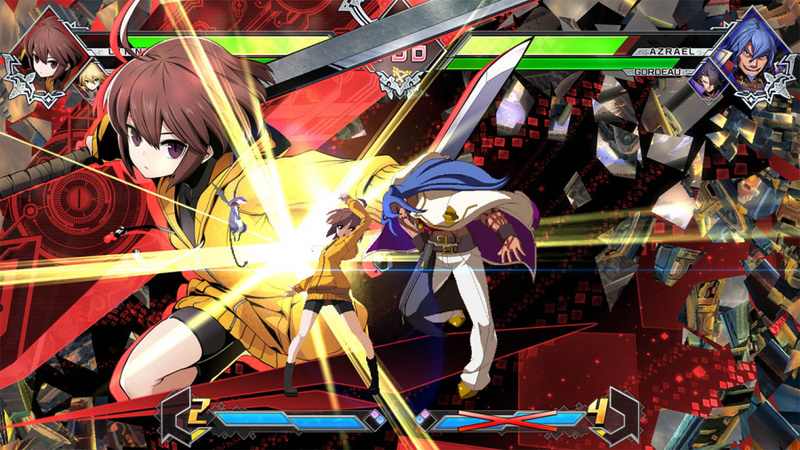 The gameplay in Blazblue Cross Tag Battle is pretty standard stuff for the Blazblue series, but with only a couple of notable changes, which honestly isn't a bad thing given how tight Blazblue's gameplay has always been. The combat is fast-paced and has tons of action, while there are a few technical fighters in the roster most characters are easy to learn how to use. 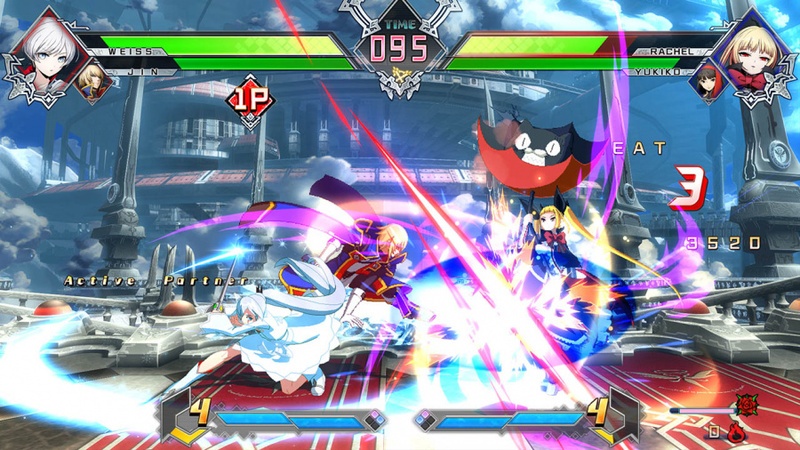 The game focuses on online modes with the only noteworthy single player mode being story mode. The online modes are pretty good and the online servers "at least the European ones" are very active and quite stable so don't expect many disconnections during matches! As for the gameplay additions to the formula, the primary addition is the tag system which allows you to not only switch characters on the fly, but also perform cross combination technique between you and your tag partner which is a blast to do and a must to win online battles, other than that most of the changes are mostly to balance the game, however that one major change makes the game so much better than it would otherwise be! The controls are very responsive and fairly easy to learn which is always a must in the fighter genre while the difficulty is perfect for players of all skill levels! The only gripe we have is that the game reuses a ton of assets from previous Arc System Works fighters, but it's not a game breaker for us. The audio-visual presentation is fantastic, despite mostly reusing assets from various older games, everything goes together quite well. The character models look great, the stages are gorgeous, and the special effects look amazing as well! The music is fantastic, especially the RWBY season one theme! It's hard to find anything to dislike in the game's presentation. 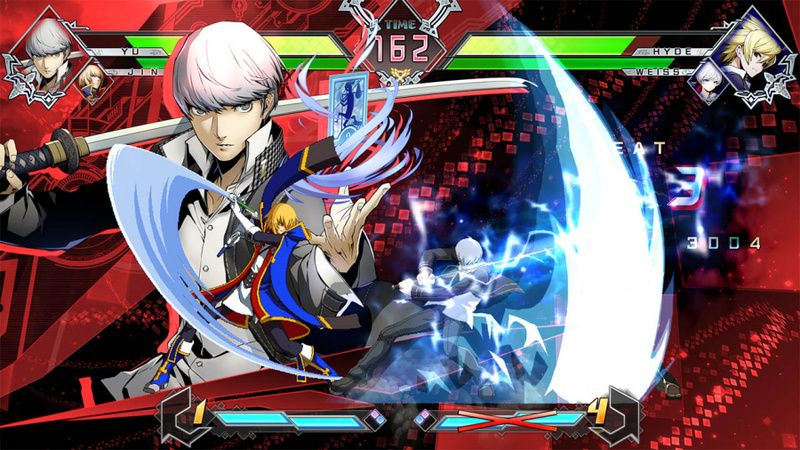 With great gameplay, excellent controls, and an amazing audio-visual presentation, Blazblue: Cross Tag Battle for PS4 is an amazing game that any fan of the fighter genre should enjoy. The only negative is the overabundant dlc, but otherwise the game is flawless as a result we give the game a good to great level of recommendation! Awesome review! I must resist the urge to buy another game until I finish some of my backlog lol. As always thank you all for your continued support of our website! You guys rock! Wait...did I read that right? There's RWBY content in it?! Wasn't there a BlazBlue game released on a Nintendo console that was renamed Blayz Bloo or some such? @GeekyGamerZack Yes and yes! 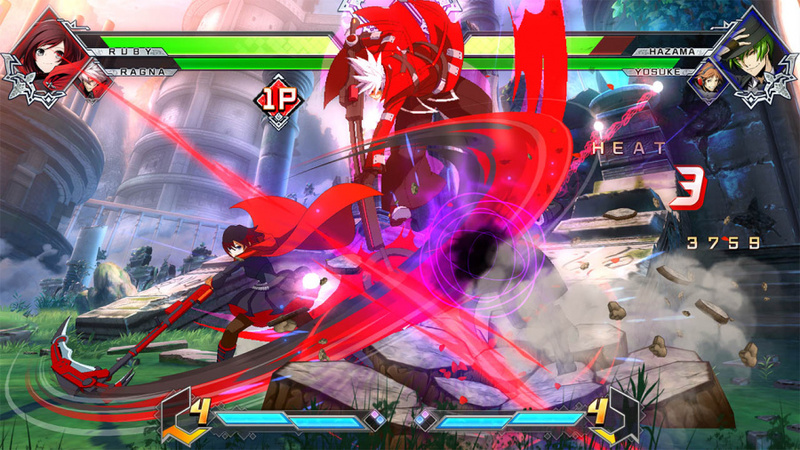 Team RWBY is in the game as well as the season one theme song and a stage based on the world of RWBY. Great review dude. This fighter sounds like a real gem! Thanks for the feedback you guys. Thanks for continuing to support our community!